Spring is officially here, and although this year spring seemed to arrive rather early, there are still plenty of springtime sights and sounds to be enjoyed while out and about. There’s nothing quite like a spring walk for taking some time to enjoy the end of winter and the new life that erupts each year, so we thought we’d gather together a few of the best springtime walks here in Lancashire in case you fancy discovering somewhere new. 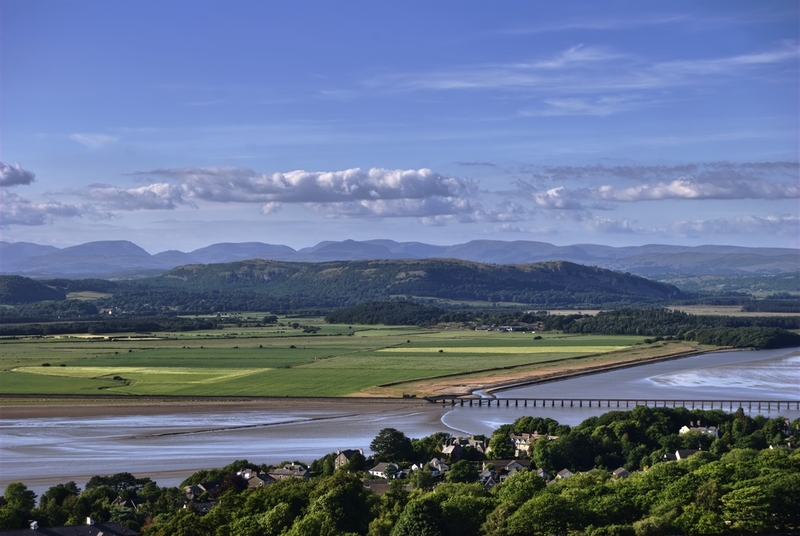 Arnside is a wonderful place to visit on a bright spring day, and you will be rewarded with spectacular views if you take a walk up to the summit of the Knott, which is particularly lovely in the spring. The village of Arnside is by the sea and has a few shops, a couple of pubs, and a very popular fish and chip shop, which makes it the perfect place to relax and refuel yourself after your walk! Depending on your fitness levels, there are a few different ways to approach this walk. For those who need to take it somewhat easy, there is a car park at the Knott, otherwise this fabulous circular walk will take you around the best parts of Arnside, including up to the summit of the Knott. It will take you around three hours and you’ll have earned those fish and chips by the end! This walk which begins and ends in Scorton is very popular with locals and is a wonderful walk to enjoy on a bright spring day. This walk will provide you with rewarding views for very little effort and the route is dog-friendly, with a dog-friendly cafe on route, where you can enjoy tea and cake or even some lunch. The walk typically takes around two hours and it is a nice easy stroll which is very family friendly. Another great circular walk to enjoy is up to the summit of Clougha Pike and back down again. The walk takes you through moorland covered with heather and the summit is deceptive but the reward for the effort are the incredible views over the Bowland Fells. The paths tend to be a little bit rough and rocky, so this walk is best for those who are sure-footed. It is not dog-friendly as they are not permitted, but if you have adventurous family members this can make for a good family walk. Just be sure that everybody in your party is comfortable with walking on the rougher terrain! This walk features wonderful views and a welcoming pub! It’s centre-piece is the Peel Tower – a 128 ft memorial for Sir Robert Peel, who was born in the town of Ramsbottom which is at the foot of the hill. If you’re lucky the Peel Tower may even be open for you to climb the spiral staircase and admire the views from the top! This walking route from John Lenehan is a great one to try, taking you across the moors and also pointing out various points of interest and historical tidbits that may be of interest! A really great bonus to this particular walk is that the pub, The Shoulder of Mutton which is very walker friendly. If you let the Landlord know you are coming, car parking can be arranged in advance and you can pre-order your food for before and after your walk. Another fun walk to do with your family in the spring months is the Pendle Sculpture Trail in Aitken Wood. There are ten ceramic plaques to this trail which feature symbols which represent the people who lost their lives during the witchcraft trials 400 years ago. The plaques can be found in the treasure trail style quiz which is lots of fun for little ones. There is also lots of art by Philippe Handford including tree sculptures that make it even more interesting. The whole trail will possibly take you between 2 and 3 hours, so it’s a really fun way to fill an afternoon now that the weather is improving and there are lots of spring sights to enjoy too! We hope this has given you a little bit of inspiration when it comes to walks which you can enjoy if you’re visiting Lancashire, or even if you live here and need new ideas. Be sure to check out our holiday parks in the area if you need a place to stay while you explore!